The Secret Service said at about 8 a.m. Sunday, someone tried to jump a row of metal bike racks that are being used to create a second row of fencing outside the executive mansion. News4's Derrick Ward reports. The U.S. Secret Service said a man was taken into custody after attempting to jump a security barrier on the Pennsylvania Avenue side of the White House. President Donald Trump was inside the White House during the Sunday morning incident. 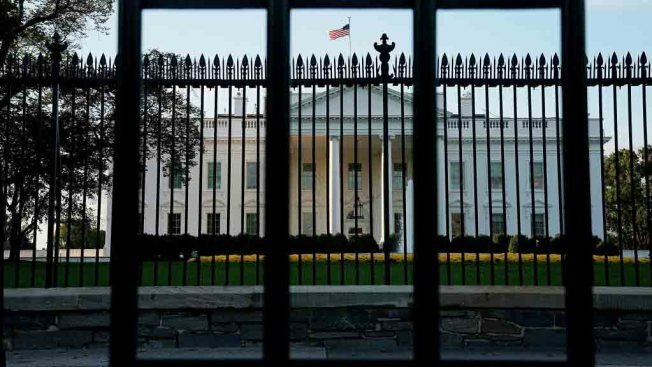 The Secret Service said someone tried to jump a row of metal bike racks that are being used to create a second row of fencing outside the executive mansion. Those racks were installed in response to a series of fence-jumping incidents in recent years, including a man who made it into the White House in 2014. Pedestrians were briefly barred from walking in front of the White House during Sunday's incident. The Secret Service provided no more details.